With trustworthy local data and intuitive tools, you create a clear path to new business. What makes the BWise tool different and powerful? Our trustworthy, locally researched business listings. Our experienced team of local researchers updates the database every single day, resulting in a level of accuracy and reliability you can't find anywhere else. These local contacts are the powerful "engine" under the BWise hood—and something you can't get from the national databases. ...call or email key contacts from your desk, or use your smart phone to find nearby prospects when you're out in the field with BWise Mobile. ...and as a springboard for a nimble, effective new business development strategy. However you prospect—on the phone, over email, through direct mail, or in person—BWise gives you the contact data and tools you need to reach key decision-makers. With BWise Drip Marketing, you can reach thousands of your best prospects with smart, flexible email campaigns, delivering you high-quality leads ripe for follow-up. Business Wise can even be your marketing department. Our experts work with clients to craft custom email campaigns and design professional landing pages to help you engage more prospects. 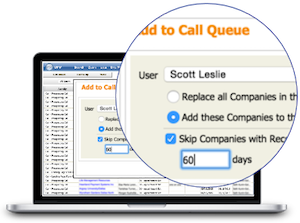 Leads you generate using BWise can be instantly pushed or captured directly into your CRM’s sales pipeline. You'll feed your CRM a steady stream of good opportunities, and keep it clutter-free.